Families with children will love glorious Woolacombe beach – three miles of golden soft sand with fantastic views across the Atlantic towards Lundy Island. Relax and enjoy the lively beach atmosphere in the summer, go for a long walk to Putsborough, take in a spectacular western sunset at the end of the day. Woolacombe is also very popular for great surfing. There is plenty of parking (charges apply). There are lots of other coves and beaches to visit within easy reach or our park. Barricaine beach , the next cove along from Woolacombe is famous for the thousands of shells that can be found there among the rook pools. A beautiful shingle beach that all the family can enjoy. In Mortehoe there is parking and a few minutes walk will take you along the hilltop and down steps to Rockham bay – very beautiful beach with great views. 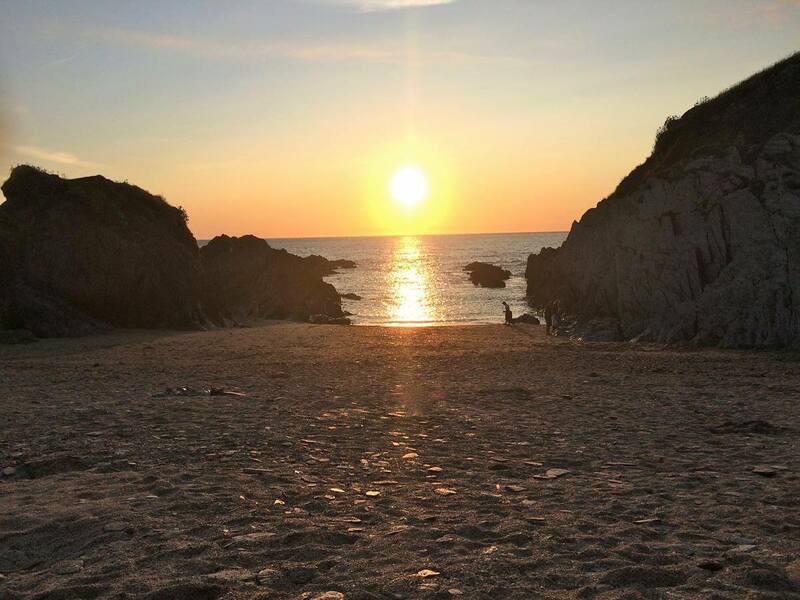 From the park you can also visit Lee Bay – a shingly little beach that has wonderful rock pools teaming with life, and many interesting shells and pebbles for the children to look at – and of course adults too! A few minutes drive can take you to Ilfracombe which again has wonderful coastline and small beaches to explore. Be sure to visit the harbour – starting point for boat trips along the North Devon coastline. Check out Damien Hirst’s famous sculpture of Verity, looking out to sea from the Pier. The National Trust also offer guided walks and marine ranger led activities to help you learn about the beaches and amazing diversity of wildlife that can be found there. The friendly staff at Warcombe will be pleased to offer advice and directions, and maps and guides are available in the campsite shop.